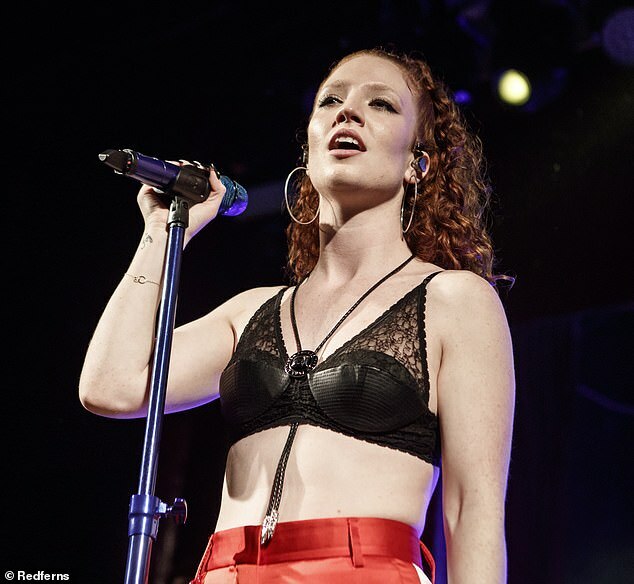 Jess Glynne took to the stage in Barcelona on Saturday night, wowing the crowds in a skimpy black bralet and giant hoop earrings. 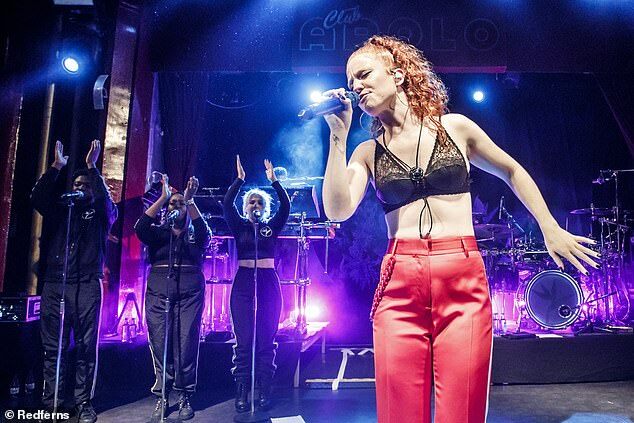 The singer, 29, belted out her hits at the Sala Apolo venue in the Spanish city showing no sign of concern about the reported troubles bubbling behind the scenes of the Spice Girls’ 2019 tour – for which she is the support act. A source told The Sun this weekend that the band – Mel C, Geri Horner, Emma Bunton and Mel B – are ‘raging’ about the money Jess will be paid to support the tour, insisting they never agreed for her to do it in the first place. It’s reported that the Ain’t Got Far To Go songstress will earn £100k per show – totally at £1.3million. The source said: ‘[The Spice Girls] absolutely love Jess and are huge fans of her music but they weren’t happy when they heard she had been signed as the support act. They are blaming [their management] for sorting the deal without their permission. MailOnline have approached reps for the Spice Girls and Jess for comment.